At the Zendesk Neighbor Foundation, we strongly believe in creating equity within our communities, workplace, and society. One way we achieve this is through workforce development programs — programs and internships that provide opportunities for job seekers to expand their skill sets while gaining exposure to the workforce. In our London office, we partner with HeadStart London to do just that. HeadStart London is an organization that brings together industry leaders, charities, and young people to bridge the gap between schools and work. Through HeadStart , youth aged 16-18, participate in employability workshops, interviews and eventually have the opportunity for work with partner businesses. Zendesk has partnered with HeadStart since 2015, hiring cohorts of students for week-long internships. One such student was Roy who interned in April 2017. While here, Roy made lasting connections, applied and was selected for an internship with our Sales team this summer. Recently, we caught up with Roy as his finished his summer internship to learn more about his experience. What made you choose HeadStart? I started in the National Citizen Service program, an organization that offers 15 to 17 year olds the opportunity to try new things, learn new skills, and meet new people. While at NCS, I attended a HeadStart workshop and learned what a cool program it was. HeadStart is designed to allow young people to get ahead in their career if they volunteer at least 16 hours of their time in the local community. While I was a bit skeptical about the program at first, one of the potential employers caught my eye, Zendesk. Roy with the other HeadStart interns during his week long internship last year. How was your first week of work experience? I joined the Customer Success team and really enjoyed it. It was a totally new experience for me as I have not worked in an office environment before but everyone was so nice and accommodating. I learned so much that week and my two big takeaways were learning how to be a part of a a team and how to work towards a deadline before. Both important skills that I just hadn’t had a lot of exposure to before being in an office. How has your time been in the Sales Department for your Summer internship? I have really enjoyed it! I spent the summer researching people that we can contact within businesses and inputting that information into Salesforce. It is a whole new skill set I learned this summer. The highlight for me is definitely being a part of the team and the general working environment. What advice would you give to other potential HeadStart Interns? Work hard and try to do things that will make you memorable at Zendesk. I continually emailed to see if there were any potential summer internships which resulted in me being interviewed for this internship role. What are you career goals and aspirations? I am currently on my way to University and am waiting to find out which one I got into. From there, I eventually want to become a software engineer working for a technology company. My time at Zendesk strengthened my dream of working as a coder in the tech industry while providing me the work experience I need to get there. 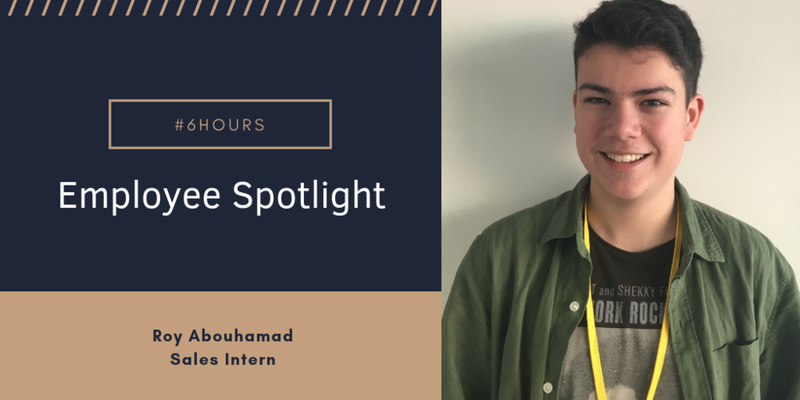 Roy is one of the 55 week-long interns that Zendesk has hosted over the last three and a half years. Want to host interns in your office? Reach out to info@neighborfoundation to learn more about how we run our program or to HeadStart directly if you want to launch this program in your office.